Medifast and Nutrisystem offer diet programs for weight loss that use a combination of packaged products and fresh foods in their meal plans. Compared to Nutrisystem, Medifast is a lower calorie program to help you lose weight faster, but Nutrisystem's plan may be better able to help you help you develop healthy habits because it includes more fresh foods. Ask your doctor for advice if you are considering a weight loss diet. The Medifast Five and One Plan includes five packaged Medifast meals and one Lean and Green Meal that you prepare. You get about 900 calories per day, and Medifast claims you can lose 2 to 5 pounds per week on the program. Once a week, Nutrisystem delivers your meals and snacks to your home, and you supplement them with your own fresh food purchases. 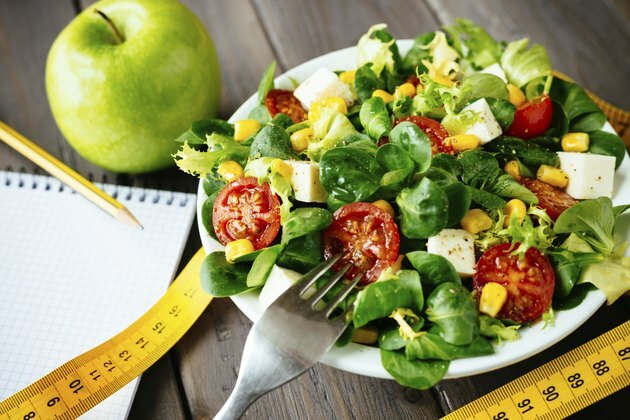 The diet can help you lose about 1 to 2 pounds per week. You can choose five Medifast meals every day, and possibilities include pretzels, scrambled eggs, oatmeal, brownies and soups. Up to three of your Medifast meals can be special Medifast Health Management Shakes such as Medifast Plus for Women's Health, Joint Health or Coronary Health. Nutrisystem's menu is also varied, and you can choose from among 150 meals and snacks when you are ordering your food. If you prefer, you can accept the default menu that Nutrisystem suggests when you sign up for the program. Both Medifast and Nutrisystem offer options for men, women, people with diabetes, older adults and vegetarians. While Medifast might be a better choice for you if you are facing health risks because of your weight, you should only follow Medifast under your doctor's supervision. If you do not have as much weight to lose, Nutrisystem might be a better choice because it offers a slower rate of weight loss that agrees with recommendations in the 2010 Dietary Guidelines from the U.S. Department of Health and Human Services.